Coordinating the elements of your wedding doesn't need to be difficult, especially when using your new monogram as the centerpiece. With the abundance of printed materials before, during, and after the event, your monogram provides a great way to bring everything together. From invitations to placecards to thank you letters, your monogram is the perfect symbol of you and your new spouse. The coordinated materials in this section were put together by Allison at The Satin Bow. Who says guestbooks are boring? Say Anything Design offers unique wedding guest books, signature plates, platters and frames for any occasion, in any style. 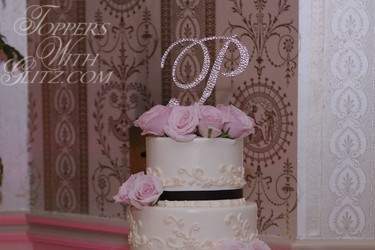 Their wedding plates can have anything painted on them, including the monogram of your cake topper. Your guests sign with a special pen that becomes permanent and dishwasher safe. It's perfect for bringing out on special occasions after your special day. Looking for something more traditional? 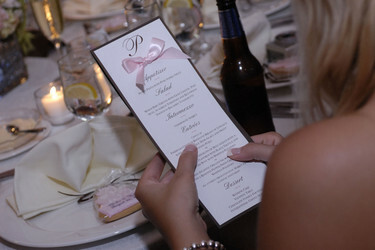 Their large selection of unique wedding guest books offer something for everyone and even give you the option of adding a custom metal engraving of your design. 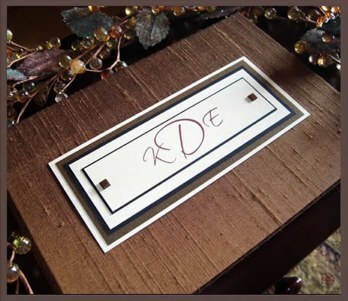 Their wedding signature frames come in all sorts of sizes and styles. They even offer a pewter matting that your guests can sign with a special engraving pen. Best of all, their user friendly website makes it fun and easy to design your own pieces and see the finished results before ordering. Just follow the steps and Say Anything! 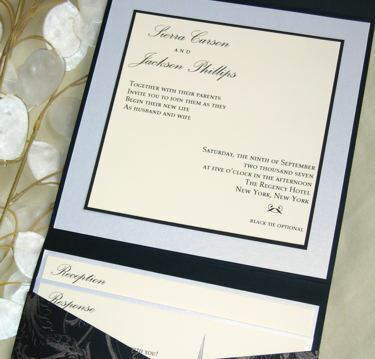 Invitations - "I Do Bliss"
I Do Bliss creates handmade invitations, specializing in weddings. Laura is dedicated to understanding each couple's personality and works with you to create novel and modern one of a kind ideas. Each invitation is truly a unique experience for each recipient.